How Many Martech Tools Does Your Company Really Need? HOME -> MarTech -> Data & Analytics -> Too Much Martech: How Many Tools Do You Really Need? Marketing and martech, like all industries, is feeling a wave of disruptive digital innovation. 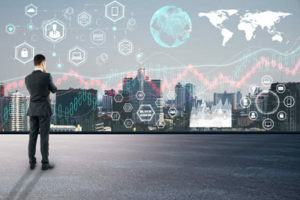 At the core of this disruption—being driven by startups and incumbent players such as Amazon and Facebook—is the ability to harness data generated through customer transactions, engagements and, increasingly, connected smart devices. While business leaders recognize that they must move fast to become customer-data-driven enterprises, they’re nowhere close to the finish line. In fact, most are only starting to grasp the power of customer data. Most companies have been purchasing point solutions that they can implement quickly in hopes that the data insights these tools provide will help them catch up. Eager to offer customers personalized, valuable user experiences, these companies continue to grow their marketing stack. Some research estimates that the average organization uses a staggering 91 different martech tools. The problem is that adding more point solutions is like trying to run at the speed of light: you’re trying to go faster, but the faster you get, the heavier you are and the harder it is to accelerate. 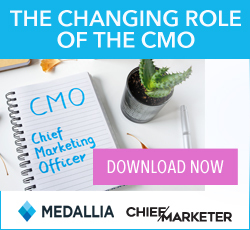 The fact that almost every company has followed this path this means marketers are all in good company, but a Forbes Insights survey revealed that leaders are now looking at ways of integrating the data to get deeper insights versus adding more points solutions that only add topical insights. In fact, only 13 percent of marketers were confident they were making the most of their data using existing systems and processes. Can you measure the value of the existing technology and prove its return on investment for the purpose it was purchased for? If the answer is yes, you still might consider cutting any tools offering less than three times ROI. If your answer to the above question was no, then you first need to gather all relevant data on each technology, so you can measure the effect/ROI of the system. This might mean working cross-functionally with sales, customer support and account managers. Of course, it’s not always that black and white as to whether a martech solution holds value. For example, some technology is good for general awareness and this is where you can use things like multi-touch attribution to gauge impact on programs with ROI that’s more challenging to calculate, such as social media campaigns. But, again, if your data isn’t centralized, then this is impossible. If you are one of the lucky few that has not followed the pack in building a bloated martech stack that seems to grow every year, you might be wondering how to avoid falling prey to this cycle. If you find yourself considering an investment, your first step is to confirm you have a way to effectively measure its return. When you acquire that new tool or platform, you should test different strategies and measure which ones give you the best ROI. Without confirmation that the tool is working for you and driving results, you might find yourself seeking yet another a new tool. New tools and capabilities continue to come to market. At last count, there were more than 6,500 martech tools an organization could choose from. As more marketers look to optimize their martech stack, we will see a move towards tools that help them get the most out of their investments and create insights faster. These insights fuel the innovation that will deliver the superior customer experiences that retain loyal customers and delight new users. Erik Archer Smith is director of ABM at Arm Treasure Data.